Sometimes the most entertaining stories can also become some of the most inspiring tales that leave a heartfelt effect on its audiences. That’s certainly the case for the movies that are included on Walt Disney Studios’ 2019 Slate. The film studio has unveiled the official details, including synopses, trailers and images, for its upcoming projects this year. ‘Captain Marvel’ is the first anticipated movie that Walt Disney Studios Motion Pictures will distribute in 2019 is under its Marvel Studios banner. The superhero film is the twenty-first installment in the Marvel Cinematic Universe (MCU). The drama was directed by Anna Boden and Ryan Fleck, and stars Brie Larson, Samuel L. Jackson, Ben Mendelsohn, Djimon Hounsou, Lee Pace, Annette Bening, Clark Gregg and Jude Law. The action-adventure movie is set to be released on March 8. 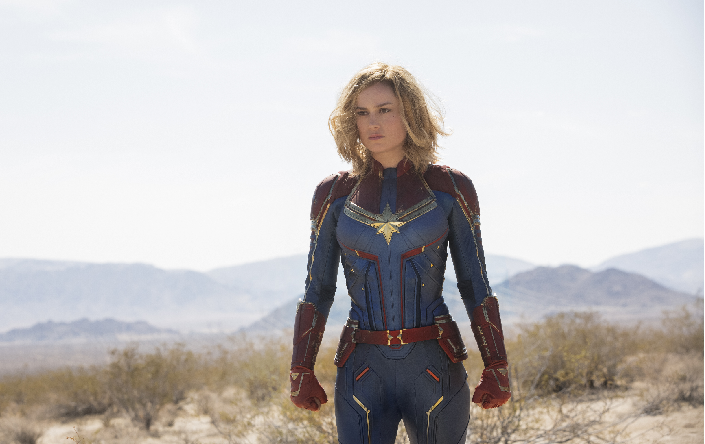 Set in the 1990s, ‘Captain Marvel’ follows its title character and her alter ego, Carol Danvers (Larson), as she becomes one of the MCU’s most powerful heroes. She must fight back when a galactic war between two alien races reaches Earth. Marvel Studios’ ‘Captain Marvel.’ Carol Danvers/Captain Marvel (Brie Larson). The next anticipated adaptation from Walt Disney Studios is the live-action remake of the classic family movie, ‘Dumbo.’ The fantasy film was directed by Tim Burton, and stars Colin Farrell, Michael Keaton, Danny DeVito, Eva Green and Alan Arkin. Set to be distributed on March 29, the adventure drama follows circus owner Max Medici (DeVito) as he enlists the help of former star Holt Farrier (Farrell) and his children to care for a newborn elephant, whose oversized ears make him a laughingstock in the circus. But when they discover that the title animal can fly, the circus makes an incredible comeback. The comeback draws the attention of V. A. Vandevere (Keaton), who recruits Dumbo for his newest entertainment venture, Dreamland. The elephant soars to new heights, alongside charming aerial artist, Colette Marchant (Green), until Holt learns that Dreamland is actually full of dark secrets. 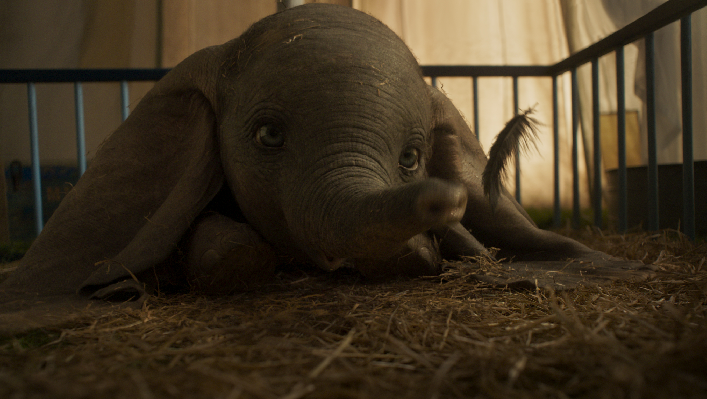 In Disney’s all-new, live-action feature film ‘Dumbo,’ a newborn elephant with oversized ears make him a laughingstock in an already struggling circus. But Dumbo takes everyone by surprise when they discover he can fly. Directed by Tim Burton, ‘Dumbo’ flies into theaters on March 29, 2019. Disney fans are also curious to find out how the title heroes of ‘The Avengers‘ franchise will will right the wrongs Thanos inflicted on the MCU in last year’s action-adventure-filled third installment, ‘Infinity War.’ Audiences will be granted answers when Walt Disney Studios Motion Pictures and Marvel Studios release the highly anticipated follow-up, ‘Avengers: Endgame,’ in theaters on April 26. The fantasy drama was directed by Anthony Russo and Joe Russo, and stars Robert Downey Jr., Scarlett Johansson, Chris Hemsworth, Chris Evans, Mark Ruffalo, Tom Holland, Elizabeth Olsen, Larson, Paul Rudd, Evangeline Lilly, Michelle Pfeiffer, Bradley Cooper, Karen Gillan, Sebastian Stan and Josh Brolin reprising his role as Thanos.